It would have been easy to let today be “one of those Mondays”…first day after springing forward (never easy for night owls! ), first full week at work after Mardi Gras, nine days out from first big event at the new gig. If you’ve ever managed an event, you know there’s many details that pop up as you approach the day, which takes time away from other duties. It’s a fine juggling act, to say the least. But even in moments of high activity, we can pause and find joy both for ourselves and others. At lunchtime, I took a break to walk to a nearby sandwich shop. As I walked in, Journey’s “Separate Ways” was playing…one of my all-time favorites from them. It sparks good memories for me, and the wonderfully cheesy video was filmed right here in New Orleans more than 30 years ago (yikes, that’s been a while!). So when I heard the staff behind the counter discussing how it was also someone’s favorite, I had to ask if they knew about the NOLA tie. They did not! So I happily told them about it and encouraged them to Google to get the full story behind the video. It was the smallest moment, but one which sparked joy for several people at once. So the next time you have a day that’s busy, stressful, or not going how you hoped, I challenge you to look for a spark of joy. You never know what it can do for you or someone else! 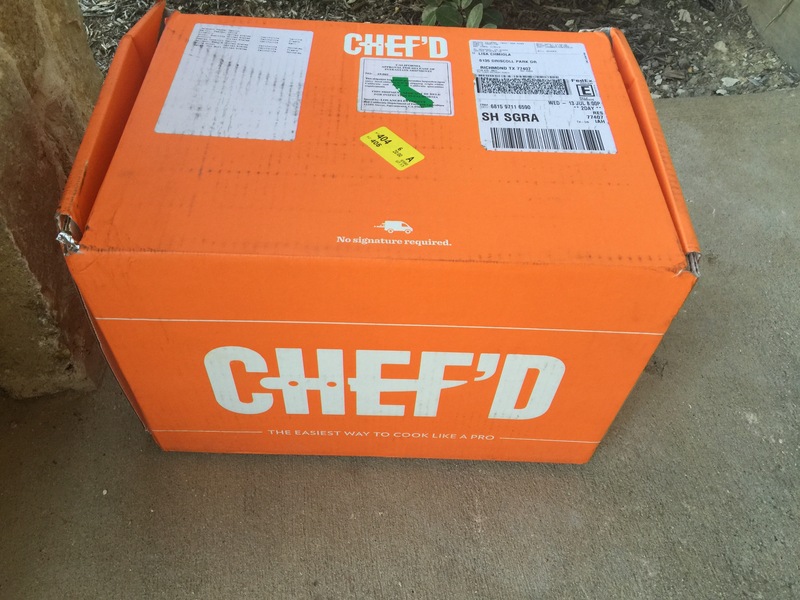 First up on my food delivery service trials was Chef’d. I chose this for my first one because, unlike the other services, they do not require a subscription. There’s an a la carte option, so this what I chose. Shipping is free on orders $40+, so I picked a meal for 4 to get the free shipping. I figured this was a lot like my usual week’s cooking where I cook once and eat the same thing 4-6 times. The meal was pretty tasty, and I came away from the experience with a recipe and technique for tomatillo salsa. But, it took 90 minutes, twice the 45 promised. They were off on the sizes of pans needed (no way do a dozen tomatillos fit in a medium saucepan). Some of the directions were a little confusing. And, they don’t have as great of promos to start as the others (you get $10 off the first order for registering for email newsletters). The food was restaurant quality, and I got 5 servings out of it, which dropped it down to $7-9 per meal (with/without promo). Cost: $45 for 4 servings ($35 with my promo); varies based on meals selected. Subscription option available. I feel like I’m busier than ever, and I think my scale and pocketbook are showing it. So when I heard about the concept of food delivery services, I figured it was worth looking into. The concept: ingredients for meals are shipped straight to your door. No dealing with the grocery store, so that saves time. Only what you need is sent, so that saves food waste. The catch of course is as a single gal, I need to be sure it is weeks I would eat 6 home cooked meals, as most services are a minimum 3 meals for 2 people. But…that’s at least more variety than me making one mega meal and eating it 6 times. Noticing that many services have deep discounts (up to a week free) for trying them, I figured this could save me some big money upfront, and maybe some savings if I stick with any of them (with meals averaging around $10 a serving, it’s more than scratch cooking but less than eating out). #holidaysweat #sweatpink challenge starts today! Want to stay healthy through the holidays? The #holidaysweat challenge starts today! Each day, we’ll be challenged to be active and eat as many freggies (fruits and veggies) possible. The fine folks at fitapproach.com will send prompts and ideas each day (so go sign up!). I’ll be sharing them here too. Here’s a sneak peek at week 1! Use these prompts to get you going each day! Share your reponse anywhere and everywhere: Instagram, Facebook, Twitter, your blog… at home! #holidaysweat challenge starts November 8! 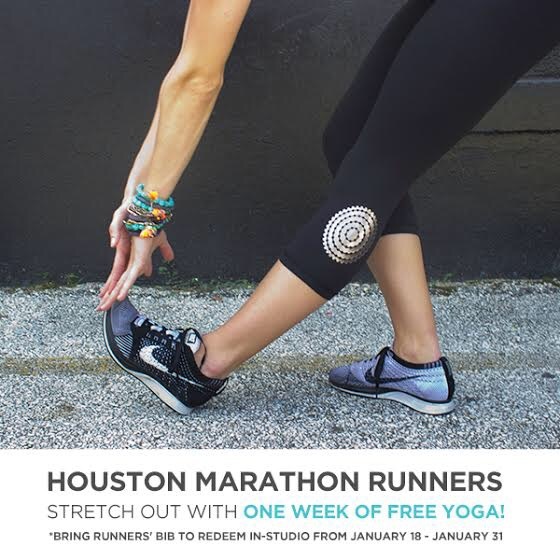 Need a kick into gear to ensure you’re still feeling healthy and happy in the New Year? The Sweat Pink Holiday Sweat Challenge is coming! As an ambassador, I’ll be getting tips each Sunday. Stay tuned for more on how we can support each other through the holiday season! It was good timing for this to happen as I’ve needed a push to refocus on fitness. That was apparent on my run this morning with Fort Bend Fit. I’ve been following the “Little Half” program, designed to get those of us who started in the summer with the marathon trainers, but have been sidetracked, to catch back up. I showed up for Little Half 2 weeks ago for a great 2 mile run. I felt optimistic about running a half marathon in late January with 16 weeks to train. And then last weekend, first I didn’t feel well on Saturday, and my sweet furchild Ava got sick and that ditched the plans to make up my run Sunday. Only working out once a week isn’t working for me.The last 2 months of my life have been a roller coaster. A big project at work, and beginning to prep for a move when my house build is completed have been taking up time. Plus still staying active as a presenter in my industry…and I haven’t had as much free time. I know that making time, even 10 minutes a day, for more activity will help me tackle all this more easily, and I just need to DO IT. Fitness is lost fast, and it affects me more than when I was younger.Even just 4 years makes a difference. Because 4 years ago, I was only running once a week as I was navigating a separation and divorce. But I was still able to train for that first half. But 4 years older, that’s just not hacking it for me. I can no longer scrape by with one super workout a week. I may need a new, short term fitness goal. This is the biggie … realizing that right now, with all the other factors in my life, a half marathon may not be the right goal for me. As much as I want to do a third half, so I can pursue a full before I turn 40 in less than 2 years, this may not be the time for that. Since I’ve gotten so far off track in my programming, it might make more sense to run a series of 5k to 10k distances in the coming months. That gives me smaller goals that work better with a crunched schedule, and keeps me running. I really hate to give up on my training program, but it doesn’t make sense to keep after something and take the joy out of it because I’m struggling. I want to hear from you … when have you re-evaluated a goal, and how did this turn out for you?